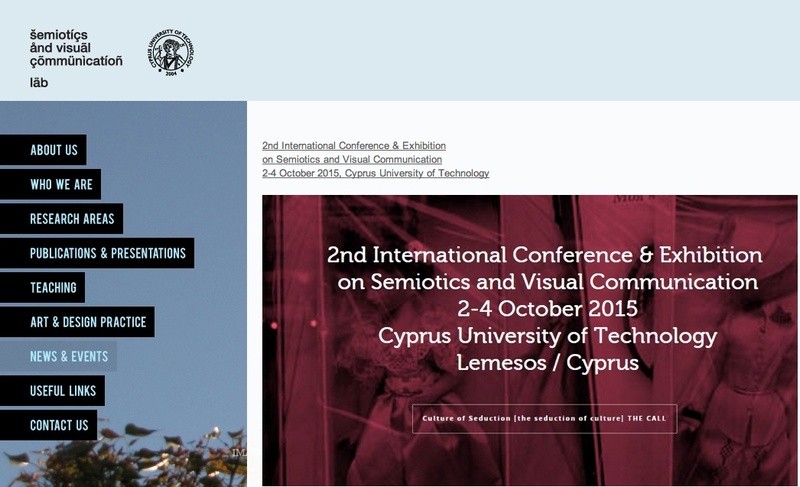 CUTURE OF SEDUCTION / THE SEDUCTION OF CULTURE: 2nd International Exhibition and Conference on Semiotics and Visual Culture. University of Technology, Lemesos, Cyprus. DATE: 2nd - 4th OCTOBER 2015. In 2014 Eastwood was selected by a specialist panel to contribute an example of his work for inclusion in a group exhibition of illustrated poster designs. 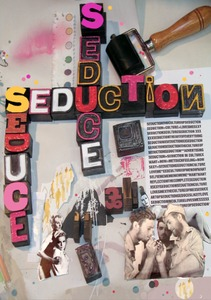 The poster was specially designed to explore the theme of the Culture of Seduction / The Seduction of Culture - in the context of contemporary visual culture and the broader media. 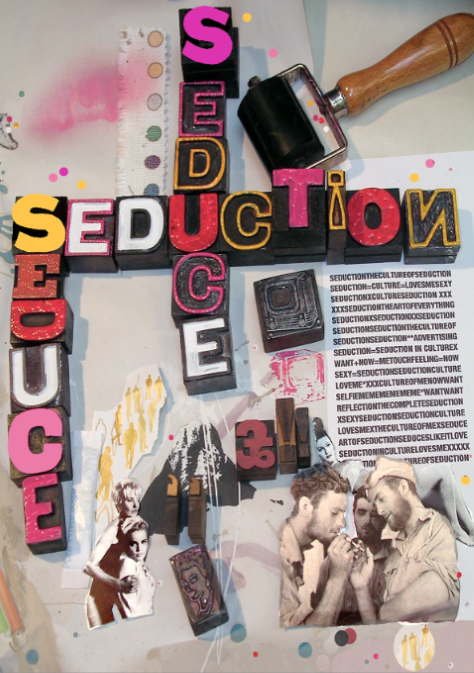 Methods employed in the realisation of the poster reflected an awareness of Schwitters’ original MERZ project, combined with the brief to create improvised text and imagery to directly explore the subject of Seduction within a broad visual cultural context. Recycled material and wooden type has been collected and reconfigured to make a 3D collaged image as precipitately as possible. The speed, or haste, is fundamental to the output and as such is seen as an essential primary means of focusing the immediacy of expression. In addition, the use of free- form word association techniques led to the creation of a short piece of concrete poetry.